Dreams of hitting the jackpot motivate us to at least try our hands at some form of gambling. The one that may seem most tempting typically have the worst odds of winning. You’re actually our kind of winner if you know enough to skip buying state lottery tickets because the odds are so ridiculous. Droves of people buy state lottery tickets because the grand prize value can be massive — yet offering tons of break-even prizes lets the organizers tout much better sounding odds than are actually the case. 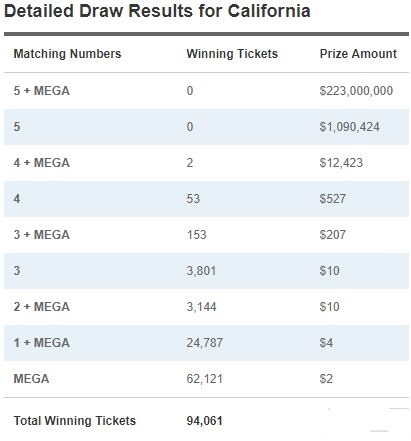 Get a load of the example below: It’s the latest MegaMillions drawing results from California. 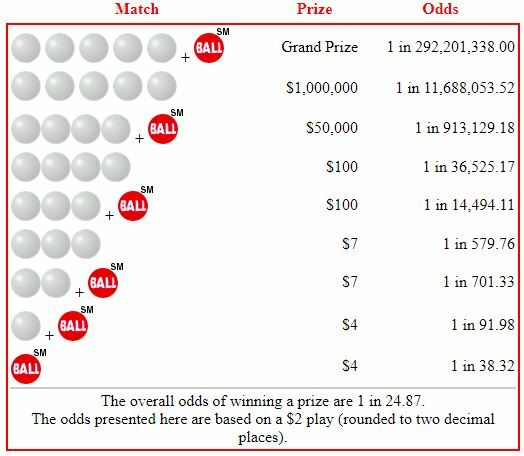 The odds of winning the $223 million grand prize were one in 292,201,338 — but the lottery organizers get to say that the odds of winning are one in 25. That’s because there are 62,121 winning tickets that only broke even on the $2 price of the lottery ticket. Realize also that buying more tickets would not have guaranteed anything. Say you bought 25 tickets in the hopes of winning at least once: Most likely one would win $2 but you’d still be out $48 cash you spent on the other 24 tickets. Some 24,787 tickets netted an additional $2 above and beyond the lottery ticket price — but compare that to the total ticket sales of roughly 2.35 million. The overwhelming majority of the ticket buyers lost money on their purchases, and nobody won the grand prize. This enables the lottery organizers to further ratchet up the amount of the grand prize in the next drawing to an amount that will tempt people even more. Unfortunately, lottery tickets tend to tempt people who may have a harder time parting with their money: the poor usually buy more lottery tickets than the affluent do. If you feel tempted to buy state lottery tickets, you might as well just donate the money to charity instead. That’s actually not a far cry from where your lottery ticket money actually goes. For instance, California’s state lottery raised more than $1.5 billion for public education last year. Most other states’ lotteries also raise money for education and, to a lesser extent, public infrastructure. That said, if you really want to win a prize in a lottery or drawing, be on the lookout for ones that have less competition for entries. 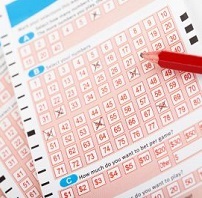 Although there’s no way to know for sure how many people enter any kind of lottery, you can make an educated guess by reading the rules or fine print, even if you have to get a magnifying glass to do so. Here are some signs that a drawing might give you better than average chances: the prizes only appeal to a limited audience (such as people who live in a certain area or who are already customers of a certain business); the process of entering is complicated, or some kind of skill is required to enter. Conversely, you might expect tough odds from contests that don’t guarantee that all prizes will be awarded or allow unlimited entries, both of which are true of state lotteries. Other red flags include very long deadlines for entry and only offering a few prizes. As soon as you spot any of these things in a contest, stop yourself from entering so you can save your energy for something with better odds. Readers, have you (or anyone you know) had any luck with entering contests? Which ones have you entered and what was the outcome?